Thanks, Tyga For My Birthday Whip!!! Kylie Jenner got a birthday present that blows that G-Wagon away ... a Ferrari 458 convertible. Tyga presented his now-of-age-girlfriend with the $260K whip outside Bootsy Bellows in WeHo after a night of celebrating, and everyone was there. 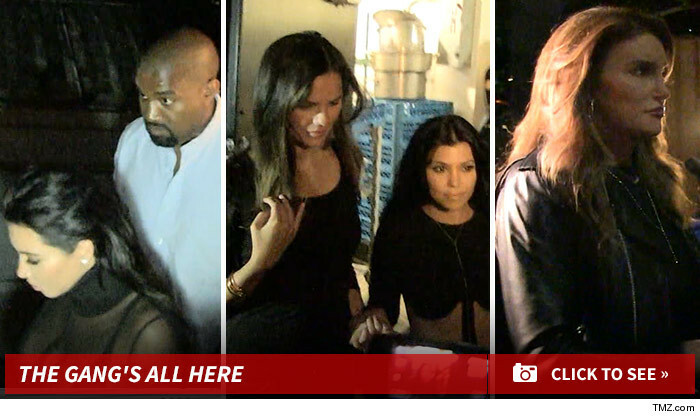 Kim, Kanye, Khloe, Kourtney, Kendall, Kris and Caitlyn ... among others. 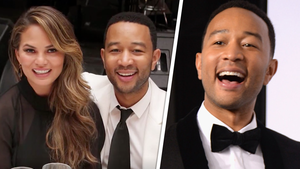 Other celebs joined in, including Joe Jonas, Gigi Hadid, Kevin Durant, James Harden, Kyle Massey, Nash Grier, and Zayn Malik. As TMZ reported, Kylie was driving a cherry red 2013 Mercedes G-Wagon to her family dinner Friday night. It turns out the SUV was Blac Chyna's until Tyga recently demanded it back. He had it painted red, picked it up Friday and she was behind the wheel Friday night. A Kardashian source insists Tyga didn't give her the hand-me-down SUV ... she just happened to be driving it. 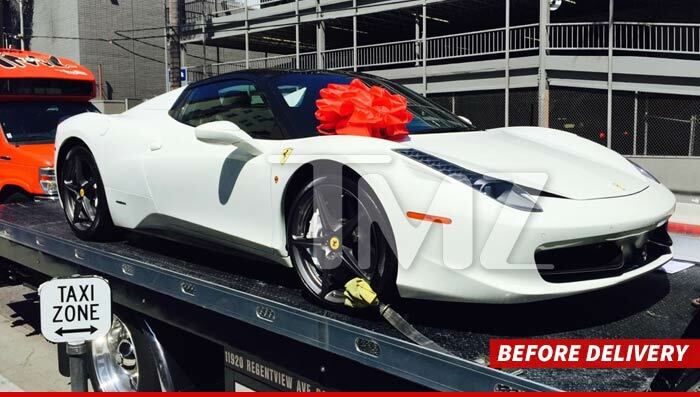 Celebrity car consultant Richie Rich hooked up Tyga with the new Ferrari, complete with big red bow. 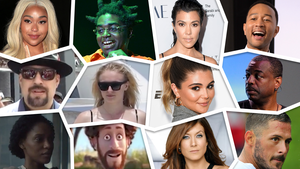 Kylie Jenner -- Happy 18th Birthday!! !